Sure, you've no doubt seen plenty of videos of cats on the internet. And maybe you've even watched a few videos of chairs too, for some reason. But never before have the two been so perfectly paired. I mean, just look at this cat, sitting in his little green plastic chair. 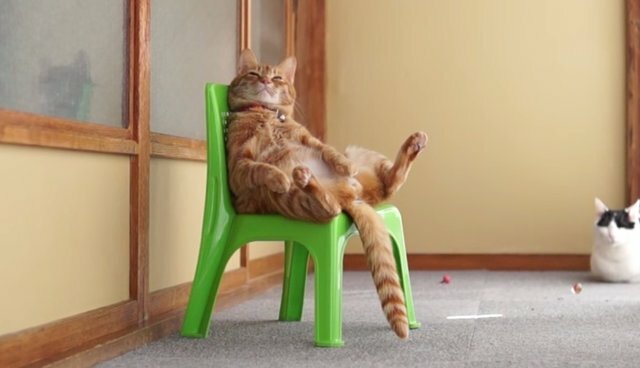 If there were Academy Awards for videos of cats sitting in chairs, this would probably win all of them.